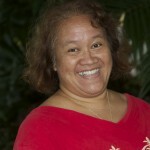 Hula Hālau O Kou Lima Nani ‘E was founded in 1986 to coordinate cultural education programs that benefit the community of Hawai‘i. 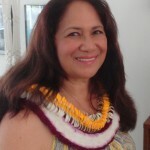 The hālau is a membership organization whose mission is to build a foundation based on hula and mele traditions through which people of all ages will increase cultural knowledge, promote Native Hawaiian values, develop appreciation for the Hawaiian language and arts, and support a Hawaiian lifestyle. 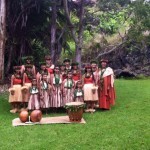 Students in the hālau range from keiki (children) to kupuna (elders) and are taught all aspects of the hula tradition including practicing traditional Hawaiian values. 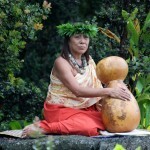 The Hawaiian culture is unique in the world. 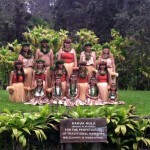 Join us in celebrating and perpetuating our heritage through mele and hula. 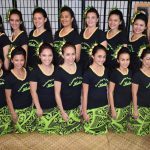 Based in Keaukaha on the east side of Hawai‘i island, Hula Hālau O Kou Lima Nani ‘E, Inc. offers demonstrations, classes, and workshops in Hawaiian music, dance, chant and in the making of Hawaiian implements, instruments, and adornments. 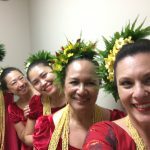 Our Halau competed in the 2017 Merrie Monarch, bringing our love of hula and the Hawaiian culture to audiences near and far. It was a memorable experience for our ‘Olapa and our Kumu Hula Iwalani Kalima.